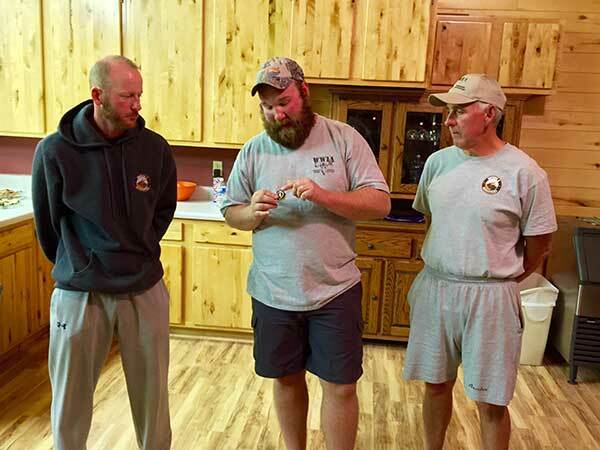 The three of us are back in the area the next morning with Joel one of the guides and Mike one of the muzzleloader hunters. We set up a grid using the GPS and search for 4 hours but find nothing. We look for Magpies and other birds but nothing. Myself and another group of Bowsite guys are set to hunt the following week but we never found any sign of Jake's elk. Since it was a pass through it is highly likely the bull will eventually die so at this point Jake's tag is considered filled. 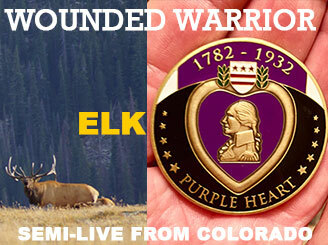 1. www.WWIAF.org is a first rate non-profit helping our Combat Purple Heart recipients The logistics of the hunt went off perfect. 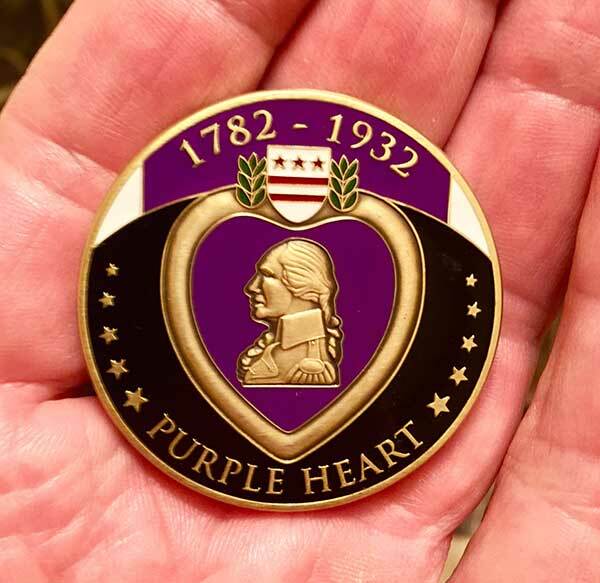 If you are a Purple Heart Recipient or know someone who is you are welcome to register on the website and see if you can go on one of these events. 2. If you are an Outfitter that would like to do an event like this I will help you ma0ke it happen. I know we can do more of these events and that many of you want to help and I can help explain the different ways these trips can happen. 3. Many of us who never served can now help “serve” these Wounded Warriors. I can say with 100% confidence you will get as much or more from helping. Jake told us his particular story and we are proud to know him. He believes only those who feel the calling should serve in the Combat roles and now wants to help other WW on their road back. There is a fellowship between us Bow Hunters and 0the Veterans. Reach out. 4. Lastly, on a personal level I am the biggest beneficiary of this experience. The attached photo is my Father (second from left) pictured with his three brothers who all served in WW 11. Dad was an Iwo Jima (d-day throughout) survivor but his 18 year old brother was KIA on Iwo just down the beach. 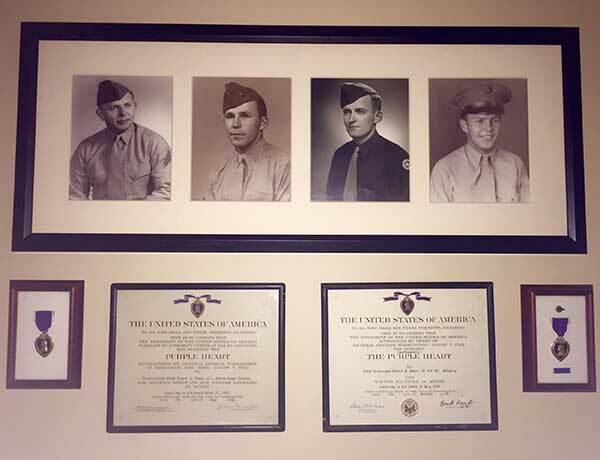 His second youngest brother (third from left) was then KIA in the Korean War 5 years later. My Dad although a war hero himself always felt extreme guilt about his two lost brothers. For me personally this was a small way to touch their souls by being with Jake. God Bless our Warriors!!! !